A.Z. put Natsuki onto a DDS body, and I helped him find Natsuki’s “Alternate wig” so that she could stay a charming red-head. She looks absolutely adorable in this hakama-style robe. 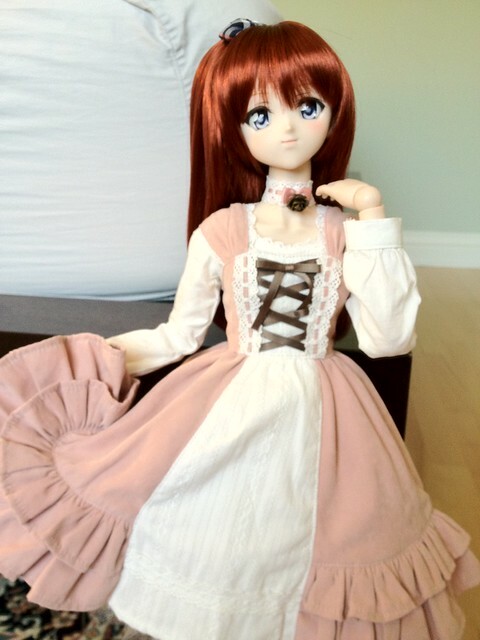 Here she is wearing a lovely pink dress from Volks. 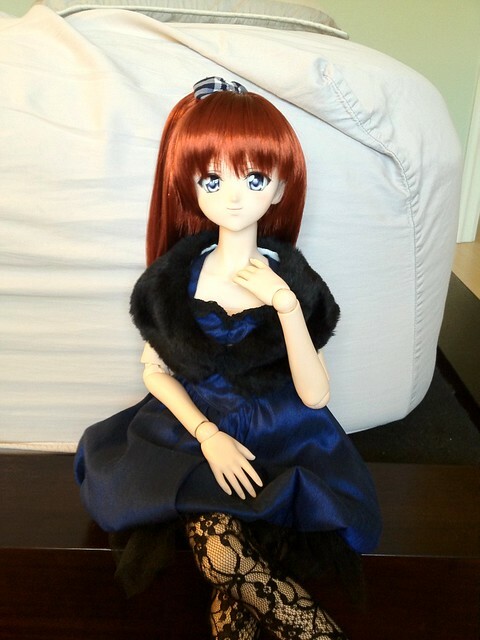 And she looks very demure in this lovely blue cocktail dress. It always makes me happy when dolls get rehomed to new owners who will love them and take care of them. A.Z. 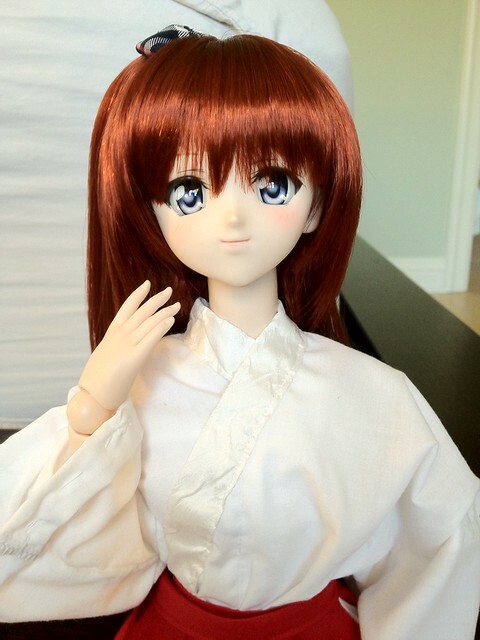 has a few other adorable girls in his Dollfie Dream family and they were recently featured in the Volks USA blog – you can meet them here! Thank you for the pictures A.Z! I hope to see more of your lovely Natsuki in the future! 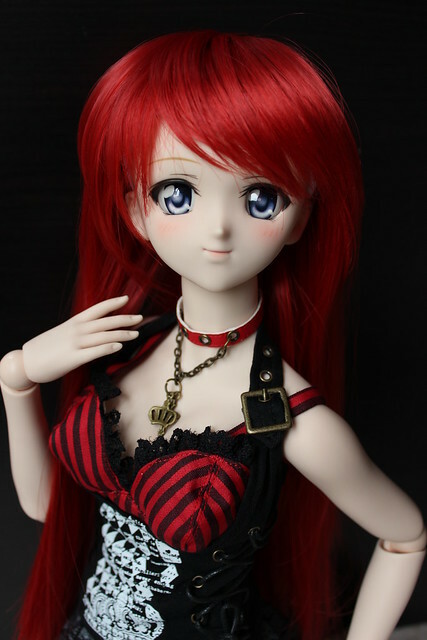 This entry was posted in Dollfie Dream and tagged Dollfie Dream, Natsuki by archangeli. Bookmark the permalink.